I am a huge Star Wars fan. I can't even play it cool and pretend that I'm not. I have grown up with the films. I've stood outside in negative degree temps in North Dakota to watch The Force Awakens on opening night. I watched at least one of the original trilogy from the back of a station wagon at a drive-in movie theater in Oregon. I also brought my young son to watch Episode I, excitedly, within days of it showing up on screens. I have passed my love for these films on to both of my kids, who have become even bigger Star Wars nerds than I am. I can feel my husband rolling his eyes as I type this, but then he recently tried to explain why Boba Fett was his favorite character to our son by saying "he was a bounty hunter, it was cool!" so really, he doesn't have a leg to stand on. I realized I hadn't done an Etsy shopping guide in quite some time, and thought it was time to profess my love for Star Wars on the blog. These are SO much fun for me to make, and I hope you enjoy them too! 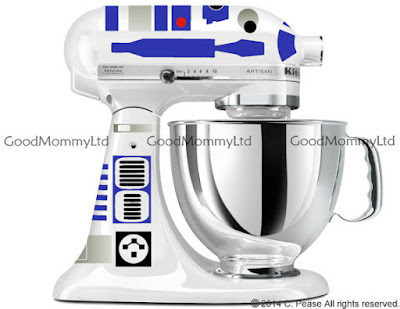 Here are ten extremely cool Star Wars items I found for sell on Etsy. *this site uses affiliate links. please visit my review policy for more information. This whiskey decanter and glasses set is sure to make the fan in your life incredibly happy. 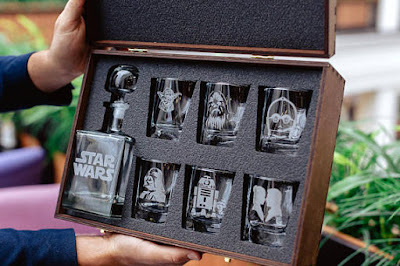 I have many whiskey drinking friends who also love Star Wars, and I think this would be a terrific gift for them! The set comes in many different incarnations of varying sizes, and although coming from the Ukraine, the shop has fabulous reviews. It can be found on LuxuriousGiftShop, starting at $19+. 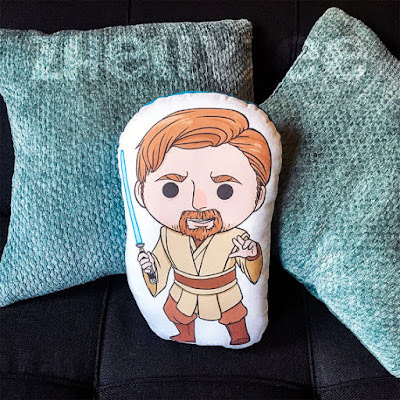 Obi-Wan Kenobi is my daughter's favorite character from Star Wars...and she loves pillows. I stumbled across this gem, and had to include it for her! He's just so cute. And I'm a huge Ewan McGregor fan, so there's that. You can find this on Zhelly for $25. Okay, let me first say that I'm not a man-bashing uber feminist. I don't want anyone to get the wrong idea. I just like Princess Leia, and I loved Carrie Fisher. I grew up with Star Wars, and she was my favorite princess...so I think this shirt is cool. 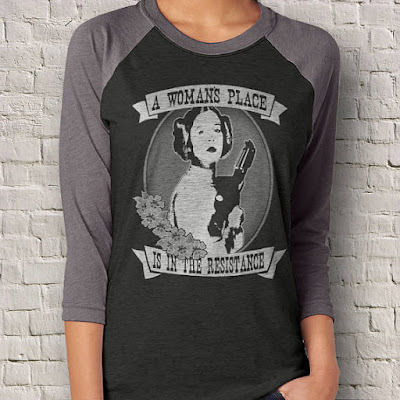 It comes in Unisex sizes Small to Extra-Large, and can be found on PinkRobotShirts for $22. 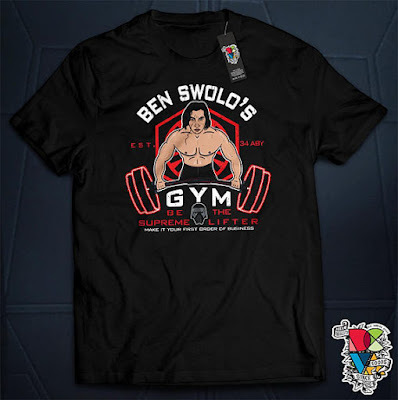 I am about 99% sure that my daughter would wear this to work out in, because this guy comes in a close second to Obi-Wan. At Christmas, I walked around the kid's toy aisles looking for cool Kylo Ren items to buy her just to be funny. She got a plush Kylo...and a Funko Pop. If I'd have thought far enough in advance to go on Etsy, she'd have received this too! You can find it on DCVisualArts for $20+, in kids, women's and unisex sizes up to 5 XL. 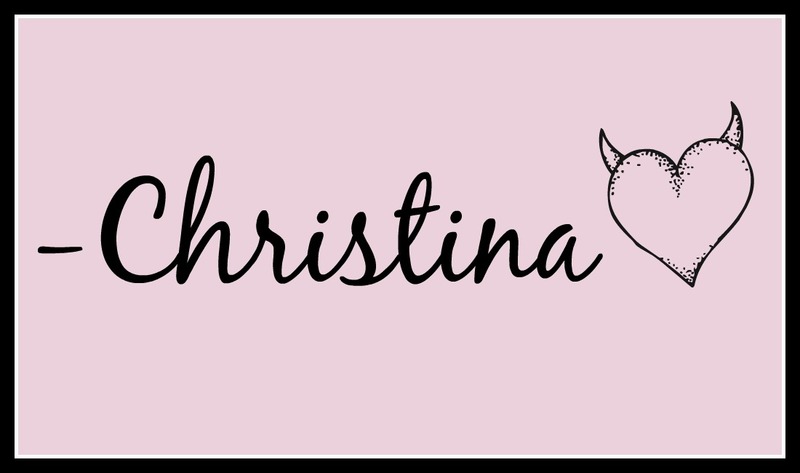 I love all of the vinyl decals that are available on Etsy...from Instapot and Kitchenaid decals, to ones for your Yeti Tumbler. I think it's a great way to personalize very bland items that you use all the time. 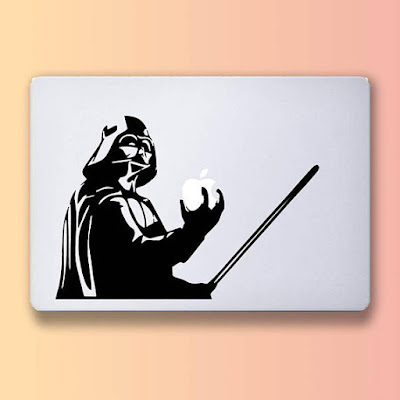 This vinyl decal designed for a Macbook or Iphone just makes me laugh. You can find it on Alittledecal for $6.90. I am a big fan of rings that have sayings on the inside. It must go back to my early childhood fascination with spies, secrets and codes! 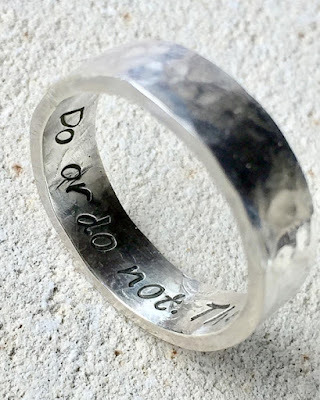 I just think it's incredibly cool to have what looks like a plain silver ring, and only you know that it secretly says something special...this one being a quote from Yoda. You can find this one on BeAMaGiKLaMP for $38. This is one Star Wars gift that I have actually purchased for friends before! I think it's so cute and funny...the perfect gift for the fan in your life who is expecting a baby. It cracks me up just looking at it! If you've never checked out the baby stuff found on Etsy, you're missing out on some incredibly cool items that are slightly different from what you can find in the shops. This can be found on KnotHeadsCustoms for $14.99+. R2D2 was my favorite character in the Star Wars of my childhood, and I still love the little droid. BB-8 is very cool, and has some of the best bits in the new movies...but no one can replace my love for R2. I thought it might be nice to show y'all the KitchenAid vinyl decals that I referred to earlier, if you haven't seen them before. They really do have these in just about any design or fandom you can think of. This one is from GoodMommyLtd for $17.99. Okay, this is another one that just makes me laugh! 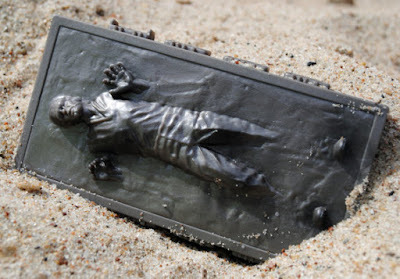 Han Solo...frozen in carbonite...soap. Soap, I tell ya! You can order it in different colors, and different scents...and lather up with Harrison Ford every morning. I can think of worse things. These can be purchased from NerdySoap for $4.30. Call me sentimental and mushy, but I love this understated coffee mug set. It's the perfect his and hers set for the couple who relate to Han and Leia. 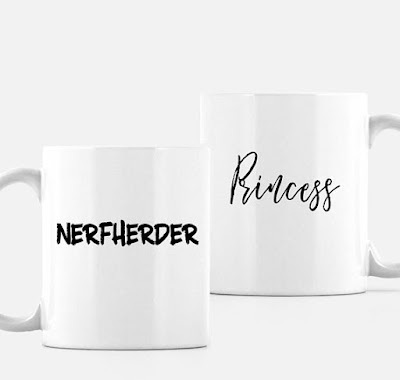 Nothing too fancy, and your husband won't be embarrassed to have a mug that says Nerfherder on his desk! (Plus, in the context, I'm okay with Princess...) You can find these on AboutAMom for $27. 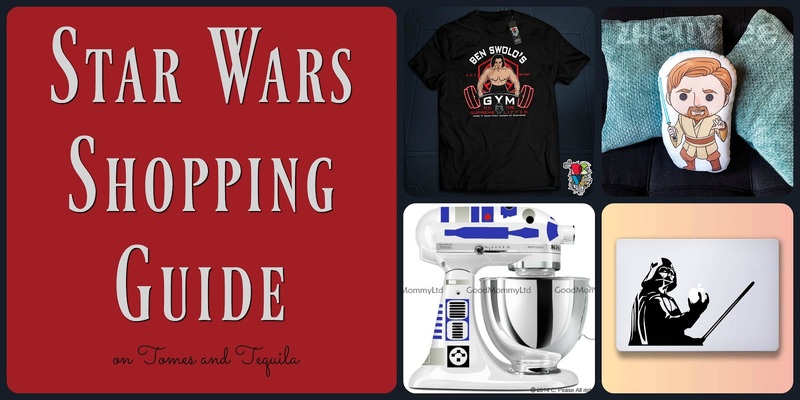 This particular gift guide could go on for AGES, and I have to say that where Star Wars and Etsy REALLY get things right is with their infant and children's items. Since most of my readers are a little older, and don't have babies at home, I only added one baby item, and tried to stick with items for more mature folks. 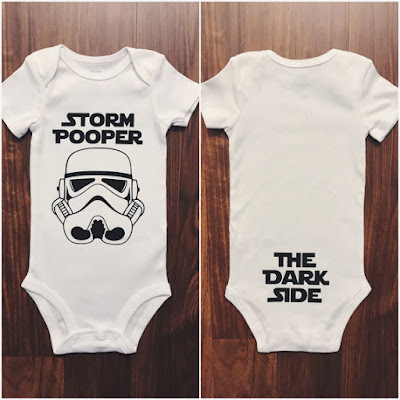 BUT, I'm telling ya...if you have a friend who's having a baby, or you're having one, and there's a Star Wars fan in the mix somewhere...PLEASE check out Etsy! They have SO many cute items that would really stand out for your little one. I think Etsy is the best site to go to for gifts, mainly because it gives me the chance to buy items for my friends and loved ones that they may not have seen before...something just a tad bit more original and special than what I can find in a big box store. Please let me know if there are any fandoms, themes, or items you'd like me to dedicate a shopping guide to. 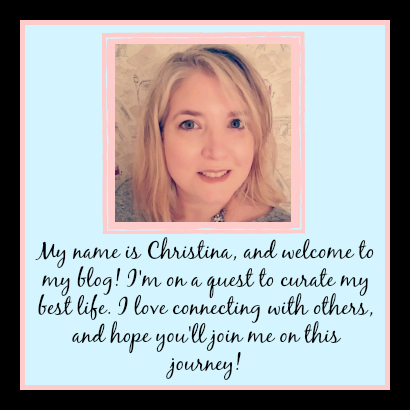 I love making them, and I hope you enjoy reading them! Leave a comment below if you can think of anything.